CAMP FOSTER, OKINAWA, Japan – December 28, 2015 – Marines stationed throughout Japan participated in the Far East Division Marksmanship Match Dec. 7 through Dec. 18 aboard Camp Hansen, Okinawa, Japan. 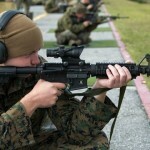 The purpose of the competition is to enhance marksmanship skills and combat readiness by using incentives such as medals and advancement opportunities. 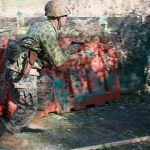 According to Gunnery Sergeant Arkadiusz Blicharski, an Aviation Precision Measurement Equipment/Calibration and Repair Technician with Marine Aviation Logistics Squadron 36, the competition was very beneficial to his ability to shoot. The competition consisted of classes, practice, and qualifications for rifle and pistol marksmanship. According to Cpl. James R. Beck, a Fixed-Wing Aircraft Power Plants Mechanic from Marine Corps Air Station Iwakuni, the competition not only enhances marksmanship skills and combat readiness, it is also quite fun. 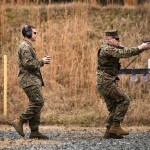 The winners of the competition received medals and a chance to become part of the Marine Corps Shooting Team. At the end of the two and a half week event, Marine Aircraft Team 36 won the pistol marksmanship competition and 4th Marine Regiment won the rifle marksmanship competition. Marine Corps Installations Pacific continues to be the strength behind America’s ability to respond quickly in the Indo-Asia-Pacific region and enables operating force readiness to guarantee victory.